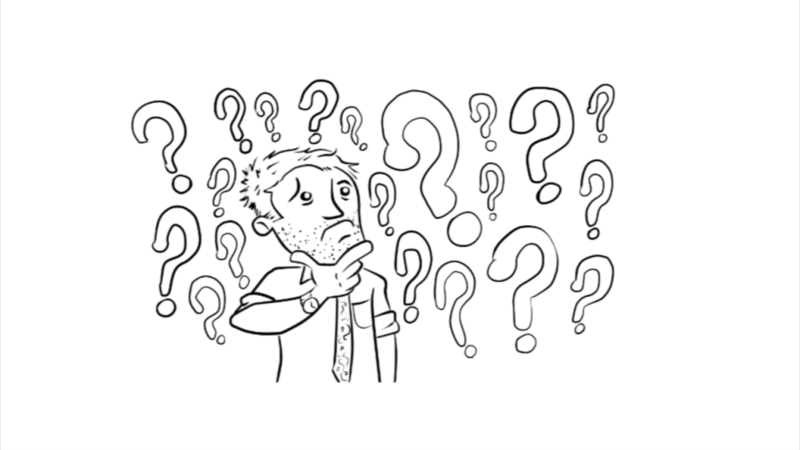 Inbound Marketing For Dummies "or"
When Out Bound Marketing and I separated our ways for good! In 1996 or there about, I was approached by a well-known marketer, David D’Arcangelo. We were associates at that time in the Network Marketing business and we both lived in San Diego. He pitched me on a new deal he felt was a considerable advantage in the industry, had an organization begun (He has a large sphere of influence from his radio shows). He was proposing he run major ads in papers like USA Today, etc. and round robin the incoming leads to the new distributors. He felt that he and I could work together on this and build a sound solution for the ‘rank and file” recruits. With his name and advertising and the advantage I had because I owned a big marketing system (which came to be known as Veretekk). I enrolled about 10 people based on this agreement and we scheduled our first tele bridged conference call. My wife Annette (my girlfriend at the time) and I were excited before the call began. On the call nothing was said about a Co-op distribution round robin. What did transpire, was David took control of the call from me, then quickly introduced his friend John Green and pitched the leads John Green was selling from CuttingEdgeMedia (This is my recollection). John Green and David claimed they were awesome pre interviewed leads and cost $20 each. Annette immediately expressed her anger that we had been baited and switched, and the call was a disaster. I was also angered as I have always found buying leads a foolish pursuit. Ho9wever, this time< I wanted to use these leads to conduct a real survey. I paid for 100 leads, about $2000 for the 100 super hot, pre interviewed hot ready to join my business leads. I also bought the USA Today white pages on CD Rom as a control subject. I spent 4 weeks and tracked the results in an Excel Spread sheet. I called every lead in that database. I called everyday of the week. At 3 different times for each lead at 10am, 2pm, and 6pm. I also called Saturdays at 12 noon and 8 pm in their time zone until I actually talked to someone. Of the John Greene leads 80% of the list was contacted. 20% never answered or numbers were disconnected or wrong numbers. Of the remaining 80% I was able to talk to 80% said very nasty profanity at me, demanded I remove them from the list, and were extremely angered and some threatened me with legal action. Even when I explained I was doing “lead” research, told them who sold them and that they were supposedly interviewed. Not one was interviewed. Either they called me a liar or the provider a liar or said they had no recollection of being interviewed. There were 2 out of the 100 who expressed some interest in the business, but further calls were never answered and nothing ever came from these halfhearted interests. In sharp contrast I must report on the 100 names and phones numbers I pulled from the USA Today white pages disk as a control to the research. Of the 100 I called on the same routine, 97% connected. Not one of them expressed anger, called me names or hung up on me. Most of them were still not interested, but I did get 12 very interested to join and 3 actually did join. This technique to cold call is a daunting process even back in the days, even for professionals. Today it is virtually a total waste of time. When people do answer and don’t know who you are 96% just hang up. The others usually take some time to insult you. It is over. Outbound marketing is now a total waste of time and money. So I have produced this blog and video for the Dummies out there. 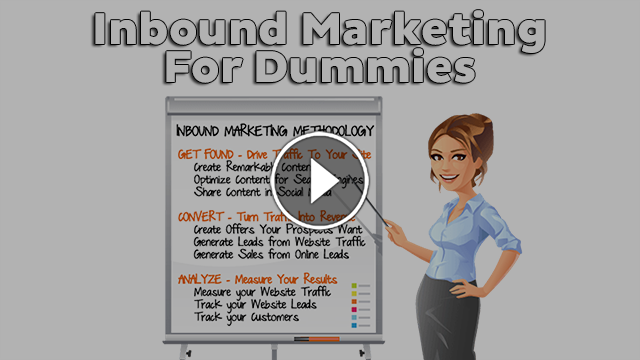 It is Inbound Marketing for Dummies. If you are ever going to find success, you are going to have to embrace, understand and intitiate the process called Inbound Marketing. You are in luck, because Markethive is one of the top state of the art, “Inbound Marketing” platforms in the world and it is the only one that is free! By now you probably heard some of the buzz about inbound marketing. But just what exactly is it? 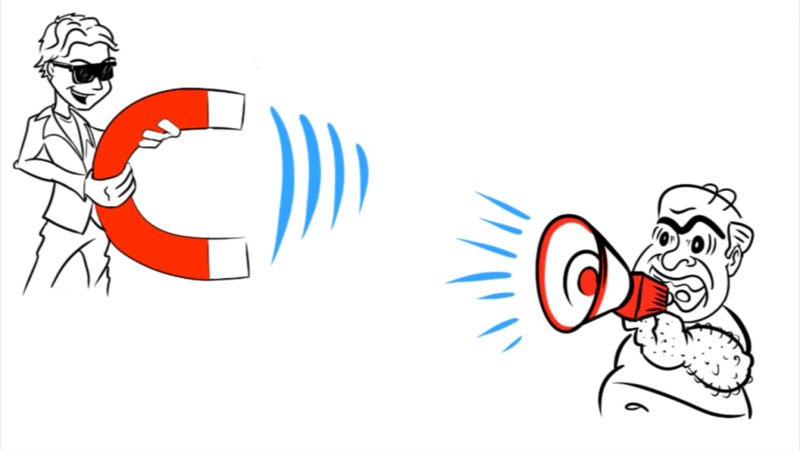 Inbound marketing is like marketing with a magnet vs. a megaphone. Its marketing based on quality content, that attracts a steady stream of qualified leads. At this point and time outbound marketing has completely lost it edge. 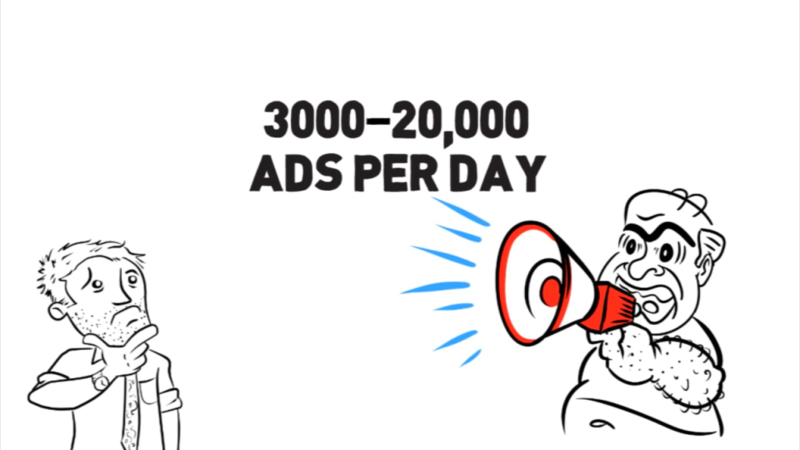 Did you know that the average person sees anywhere from 3000 to 20,000 outbound advertisements per day? No wonder no one is paying any attention. Shouting at your audience with a megaphone is no longer the most cost-effective or productive way of marketing your business, Inbound Marketing is. The cool part is that inbound marketing methods are almost always less time-consuming and less expensive than traditional lead generation methods. Not only are they cheaper but they are more effective. Inbound leads are eight times more likely to become customers, and close at a much higher rate. In fact while outbound marketing has an average closing rate of 1.7%, inbound marketing has an astounding closing rate of 14.6%. All that savings means the companies that Focus primarily on inbound marketing, typically spend 62% less per lead than companies that don't. So how does it work? Think of it like a giant funnel, prospects come in at the top, happy customers come out the bottom. Today 88% of consumers are conducting their own product research online before making a purchase. Therefore the key to being found and trusted on the web is generating relevant content to what people are searching for. 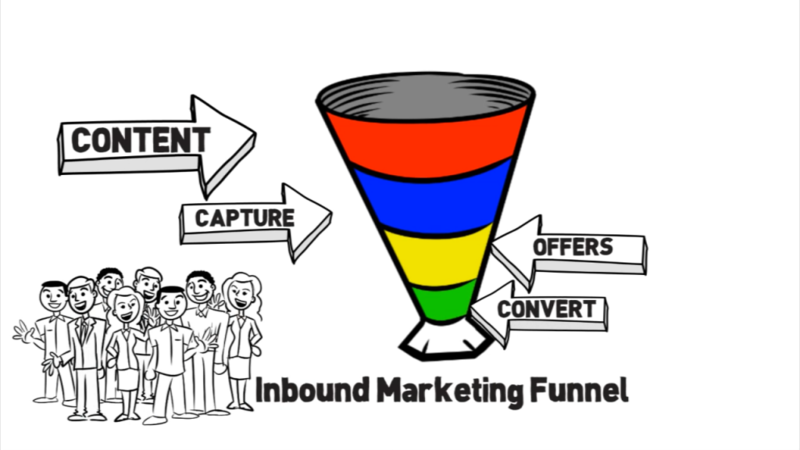 This is the first part of our inbound marketing funnel. Once you have their attention we need to capture their information. Generally this is done with more awesome content in the form of digital media such as free offers, articles, case studies, videos, free services and more. The next part of our marketing funnel is where we create an automated system, by which we turn these qualified leads which came in from our offers into Happy paying customers, who refer more new customers because of all the awesome content you're putting up. 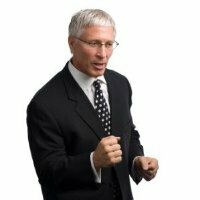 At Markethive we deliver inbound marketing methods such as SEO, Broadcasting, Capture Pages, Social Media, massive reach, Work Groups, Co-op Advertising videos, and so much more, to establish you as the authority in your industry, and create a client magnet that will generate a constant stream of qualified leads just for you. Let us help you to establish an online presence, attract new leads, and convert prospects all on autopilot.